Ever since I cut way back on drinking soda and other sweetened drinks, I have been on a quest for more water. You guys know, I talk about this endlessly around here. When my body gets accustomed to ingesting lots of water (as it should be) I notice the ill effects when I don’t drink enough water. Since eliminating sweetened beverages, I’m feeling a lot better. I have a lot more energy and don’t have that afternoon lag I used to have. Most of the time, I opt for soda water instead. Just by replacing a single 12-ounce, 140 calorie sugar-sweetened beverage with water each day for a year can cut more than 50,000 calories from your diet. Finding smart beverage choices hasn’t been easy, especially when I’m out and about. I’m not one to buy single serving bottles when I’m out, but I will grab one from home on my way out the door. There have been several times when I’ve forgotten a bottle of water, and then panic because I don’t know if I’ll be able to find what I like while I’m on the road. 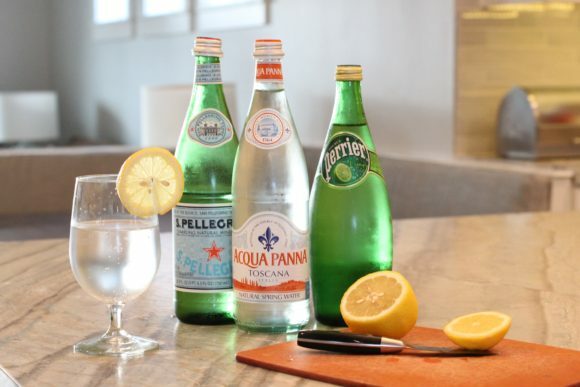 Buying bottled water by the individual bottle means you’re spending way too much time restocking at the grocery store. Buying in bulk keeps your shopping trips infrequent, but those cases are so heavy, and big box stores are so busy. With that dreaded trip to the store looming, a sense of anxiety takes over. As your bottled water supply dwindles, you begin to hoard those last few bottles for your kids, your spouse, or even just a thirstier moment. 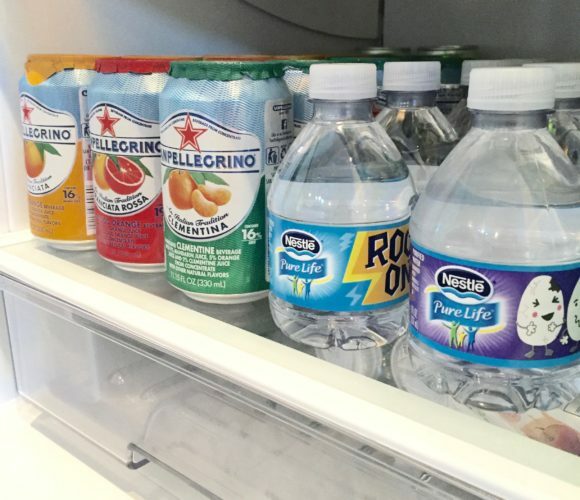 This is a phenomenon referred to as The Fear of Running Out—denying yourself and your family the bottled water they want just so you don’t have to go back to the store or add another inconvenience to your day. I was recently approached by ReadyRefresh℠ by Nestlé® to learn more about their service. After trying out their service, my I understand how it puts FORO at bay! The ReadyRefresh mission is simple: make it easy for you and your family to live a healthier life. With just a few clicks, or a few taps on your mobile device, through ReadyRefresh.com, you’ll quickly customize your order for thirst-quenching beverages delivered right to your door. Since they have some of our favorite water choices, this was a no-brainer for me. I have moved from soda to carbonated water. 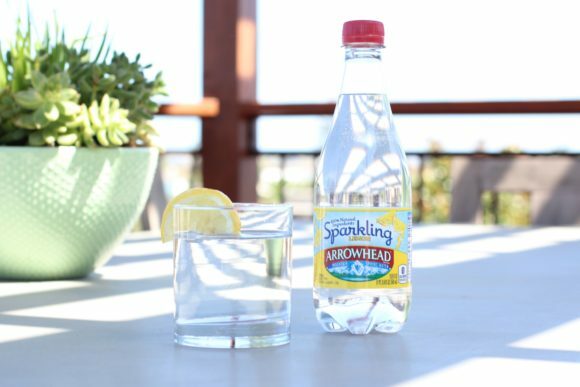 Arrowhead Sparkling water is what I keep on hand for daily use. Apparently, I’m not alone in my FORO. ReadyRefresh recently put out a survey and found that more than half of all surveyed (52%) experience FORO at least once a week. Nearly half of all full-time working parents (46%) surveyed say they ration or replace everyday household items with a less desirable alternative at least once per week, in order to avoid running out completely. And half of full-time working parents (55%) say that daily errands keep them from spending quality time with friends and family. My friend Brandi, from Mama Knows It All, recently participated in a two week study of the “Fear of Running Out.” Yes, this is a real thing. Brandi, I am right there with you! Don’t let the FORO get to you! Head over to social media pages for ReadyRefresh. You can find them on Facebook, Twitter, and YouTube. Share your FORO stories and tag them with #NoMoreFORO! If you’d like to try it out, you can get up to $50 off plus free delivery off your first order by visiting ReadyRefresh now.